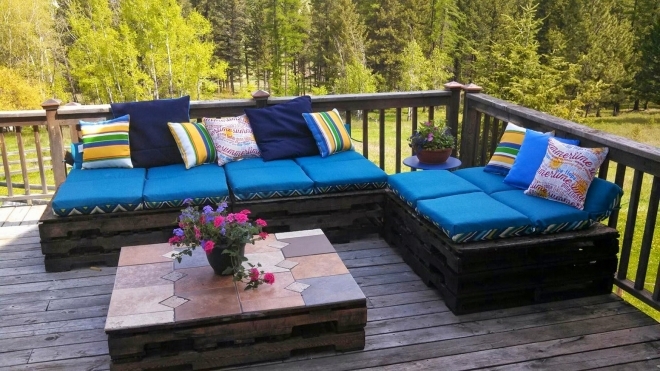 While talking about some classic and fancy garden décor ideas, the very first thing that comes to my mind is pallet wood recycled deck. This makes your place distinguished from the rest. 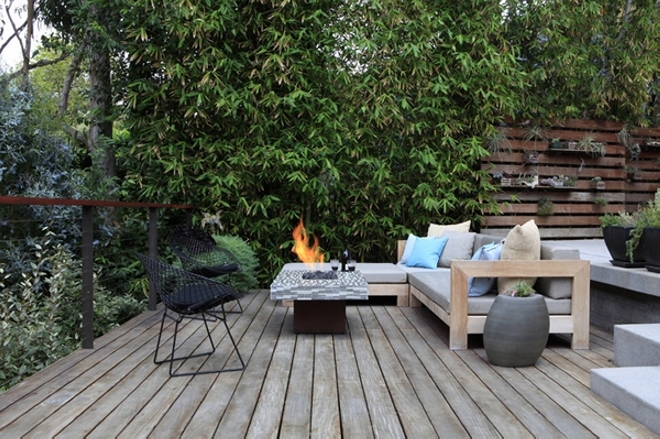 Wood has got its own specific charm, it really creates a soulful impact. 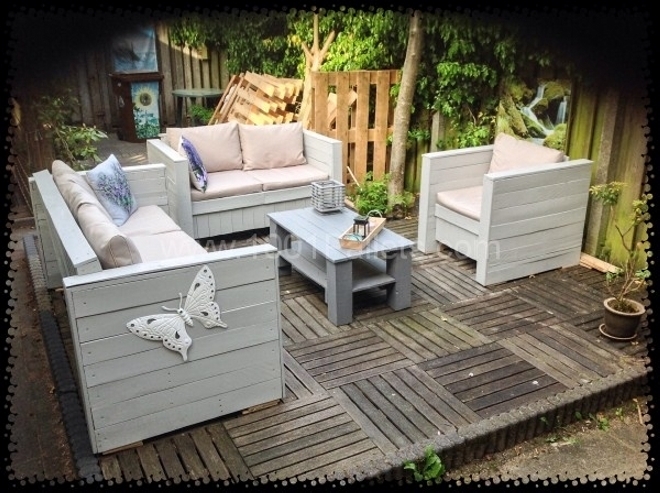 Especially in the outdoors, the wooden pallet recycled decks look outclass. They have got multiple benefits apart from looking great. They provide you with leveled ground, away from the worms, and when you recycle it with the shipping pallets, the incentive of cost effectiveness makes it even better. 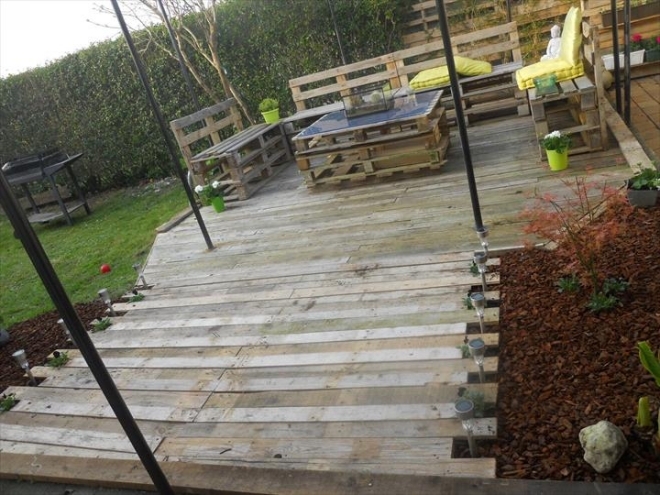 Would you like to see a couple of fine pallet garden deck floor ideas? 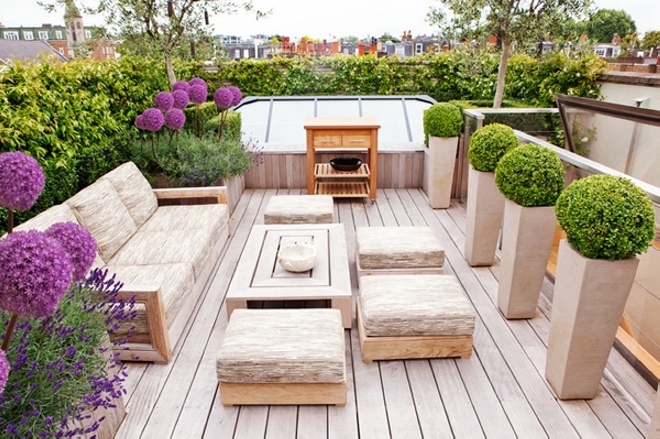 A patio just can’t be treated better than this one, the most lavish outdoor space in an urban living equipped with all necessities. 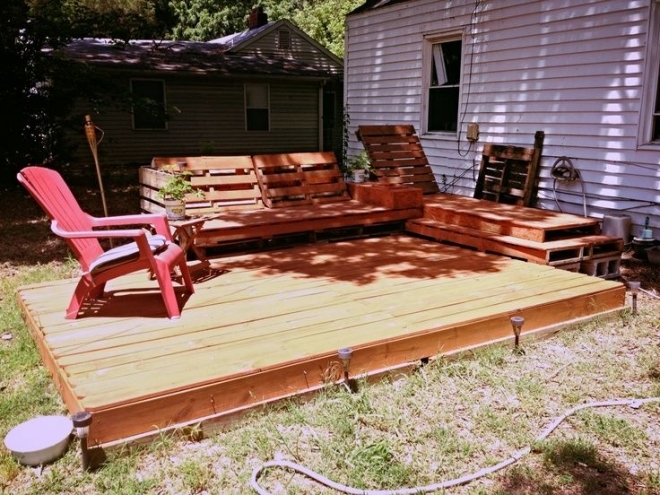 And the pallet wood recycled deck floor has even escalated the beauty of the patio. 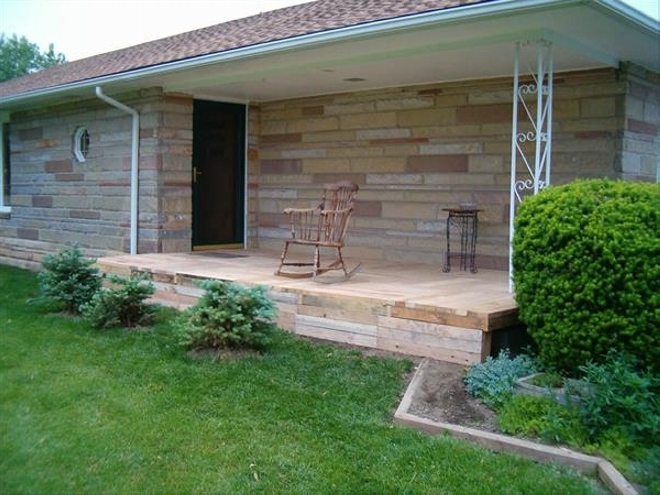 If it is about making your main entrance prominent, again you can borrow the help from same shipping pallets. They would be of great use. 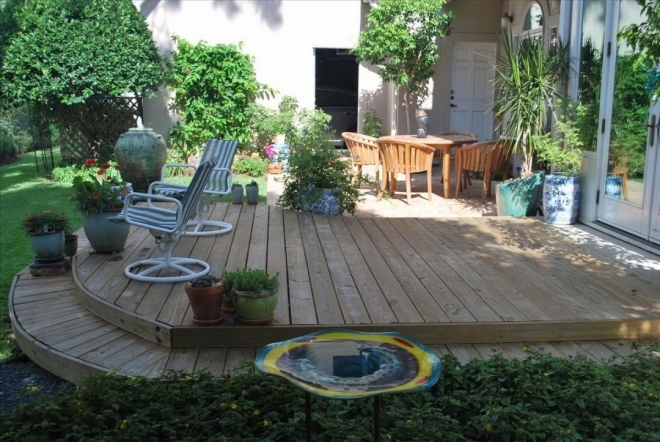 There just can’t be better setting for the main entrance than this wooden pallet recycled deck floor. An ideal arrangement in hilly areas especially. So you must consider it while looking for such options. My goodness, sometimes you guys just leave me speechless. I run short of words to express the expertise you guys have portrayed. The guy or the crafter who has executed this whole plan, my salutes to him. 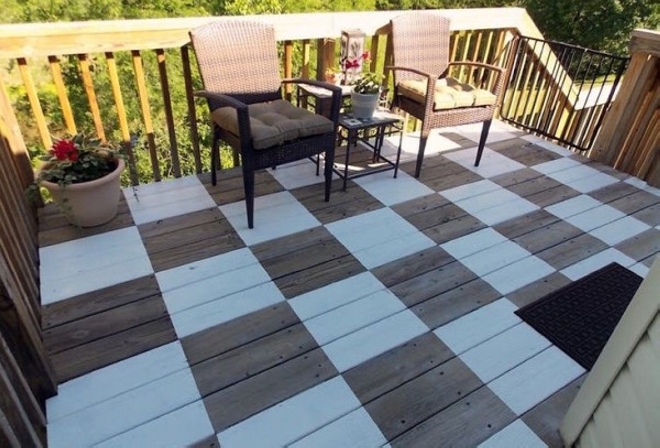 The deck floor is literally an enhancer for the rest of furniture. 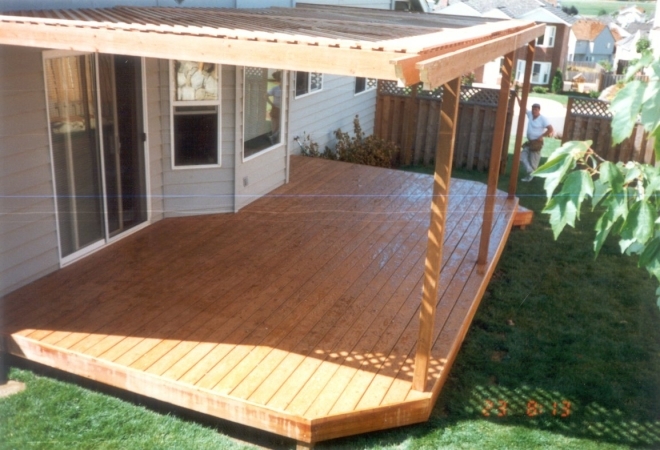 No matter if you are not interested in proper installation of wooden decks, and you just want to keep it as simple as possible. 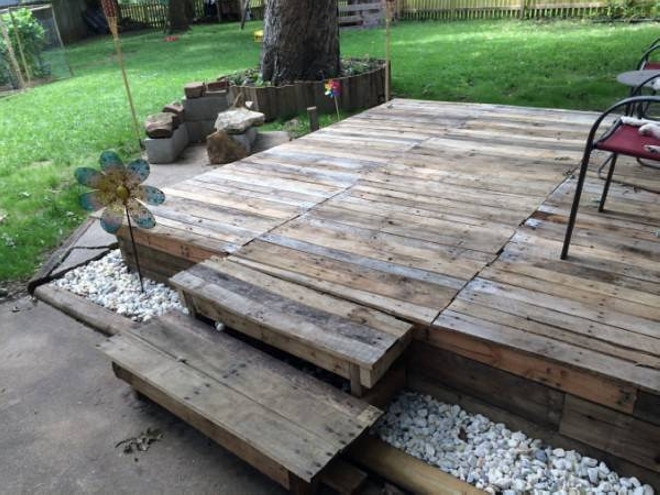 Arrange some broken and rough wooden shipping pallets, place them on the evenly leveled ground and that’s it, start using it. 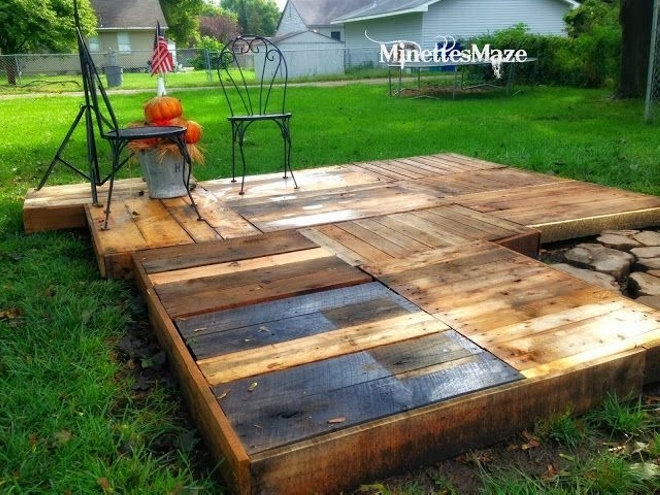 This is again a rough shipping pallets recycled deck floor. No staple gun or nailing is used. 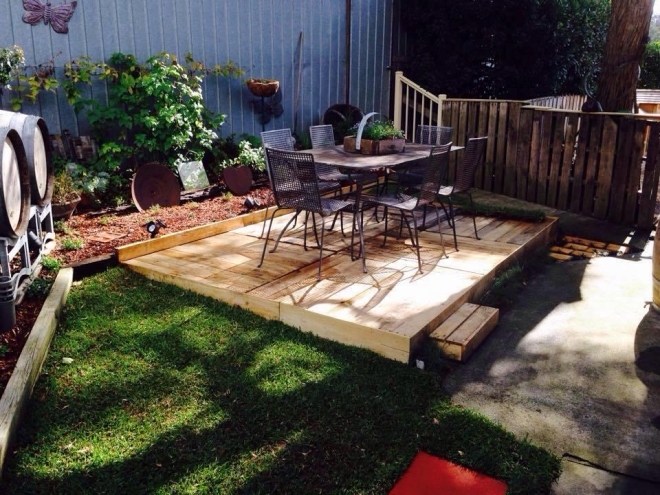 The whole shipping pallets are simply placed on the leveled ground and then we placed the outdoor furniture on it. 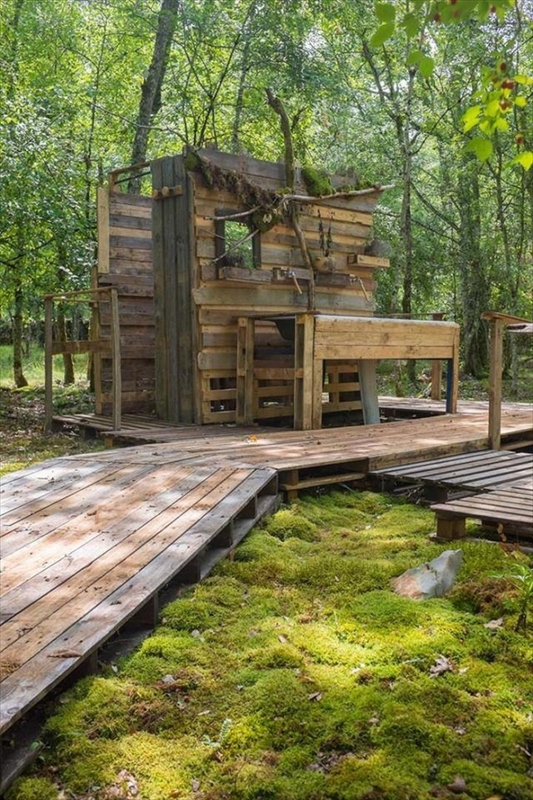 This isolated wooden area is an ideal space for gossips and chatters. 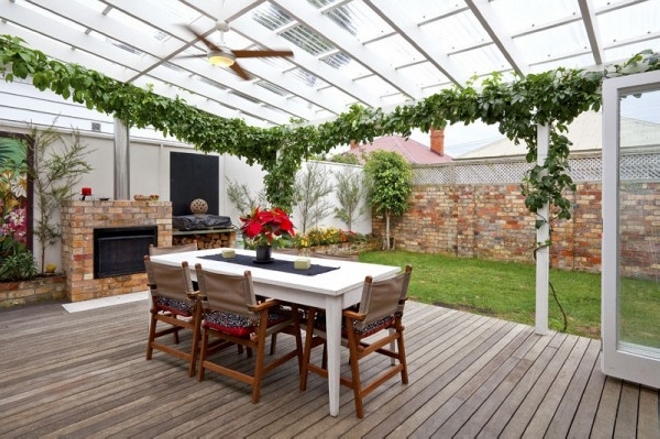 Want to organize your patio in a better way? That is just not a big deal. You just need to arrange some fresh shipping pallets, and do you know what next you have got to do? Nothing man, just place them on the ground side by side and that’s it. Now this is something cool, something pretty professional. Now listen to me, this one isn’t going to be that simple like the earlier ones. 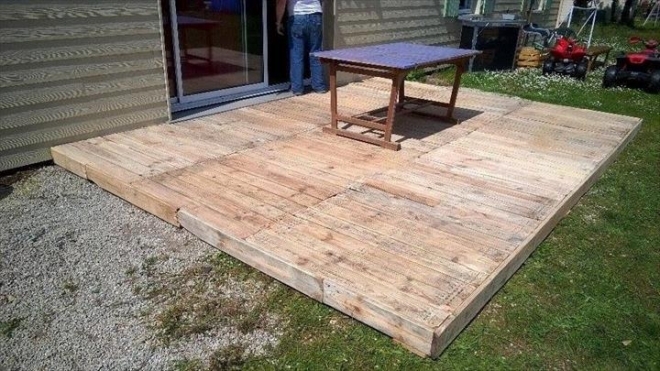 You have to be well versed in the recycling before getting started such a great deck floor project or else you would be in middle of nowhere. 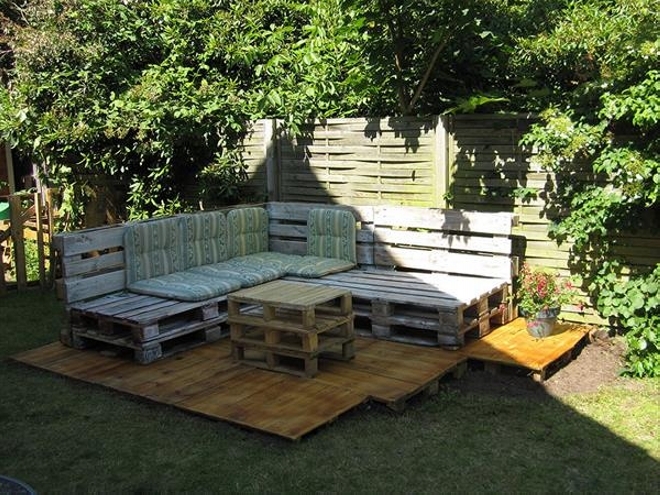 And how about making a whole passage way leading to your garden hut or house all recycled with the shipping pallets? I think this would be great idea. This would prevent you from some unwanted worms, snakes and some other intruders which don’t seek your permission. You just have to stay away from them.